Tee's Blurbs: Kickin' Off Summer 2013 with a splash! It's the time of the year once again. Oh yes, time to bring out the sunblock lotions, the light, colorful dresses and the swimwear! Summer's finally here! 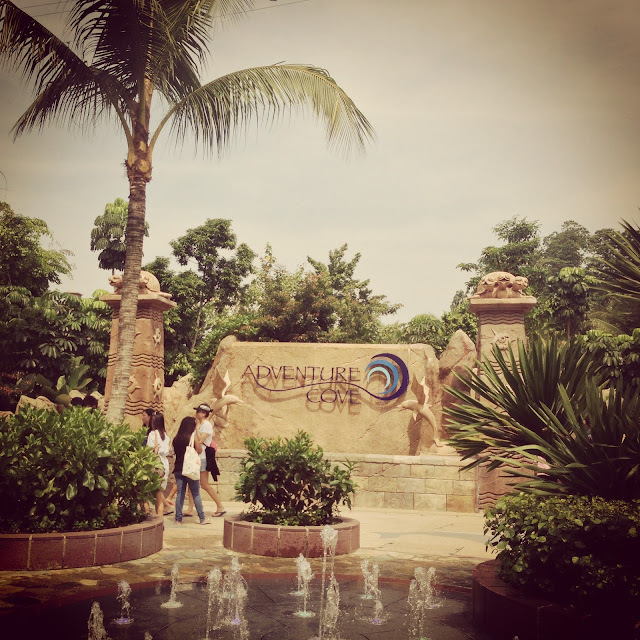 The Adventure Cove Park has just recently opened in Resorts World Sentosa. To kickoff our summer adventures, it was the place to be! It was a fun-filled summer's day, and we had our fill trying out the rides the park offered. Every ride offered something different, and I liked that there's always something someone of any age can enjoy. 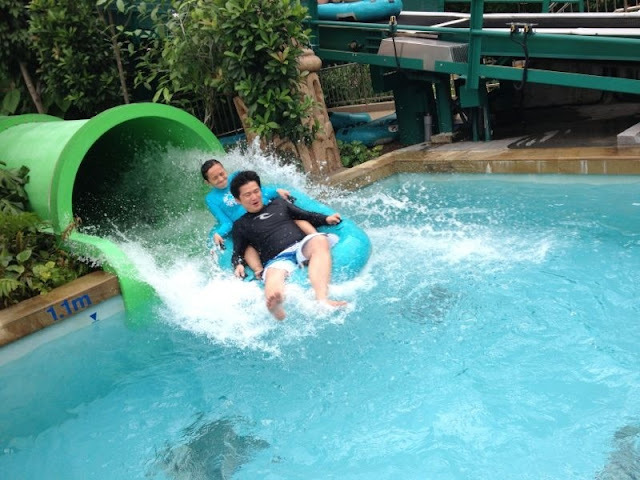 We tried the slides, both the Tidal Twister and the Riptide Rocket. We had lots of fun riding the waves at BluWater Bay. We got carried away by the current in the Adventure River. I enjoyed snorkeling for a few minutes and watching a variety of colorful fishes at Rainbow Reef. It may not be the real snorkeling that we usually do out in the marine sanctuaries, but it was fun nonetheless albeit the cold water. But it also makes me miss summers way back home when island hopping and beach/resort visits are a thing of the summer days. 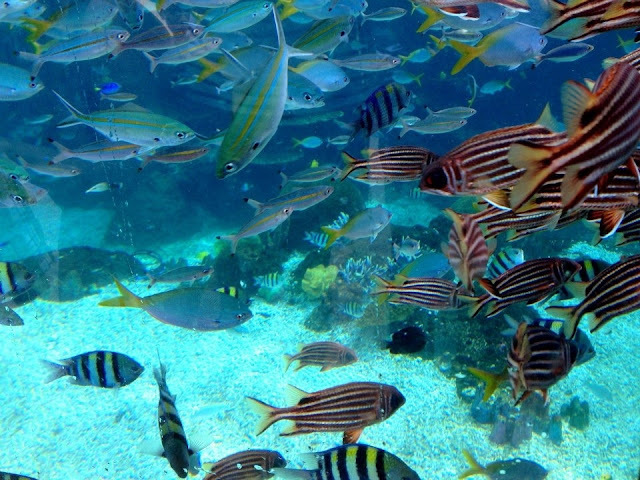 Colorful fishes at the Rainbow Reef. 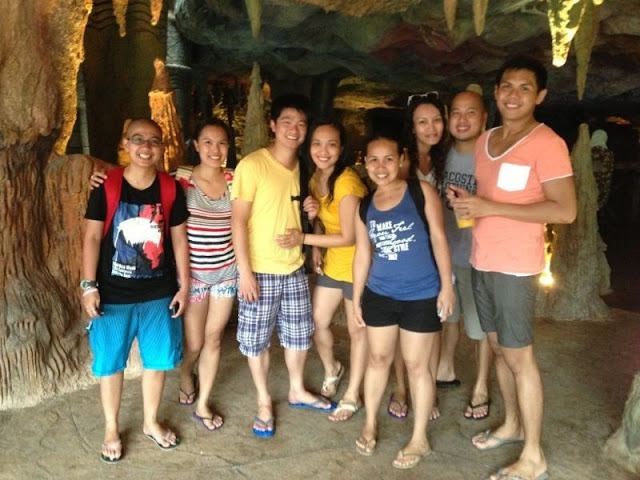 After a long day at the adventure cove park, we decided it's time to head back and call it a day. It had been a fun one at that too, and can't wait for the rest of summer to unfold. 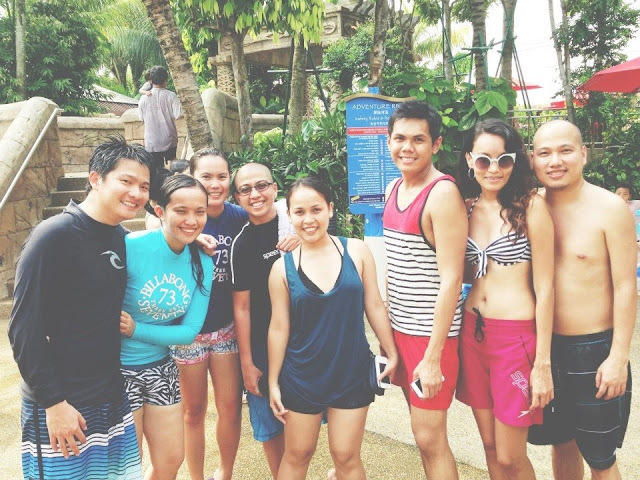 The "adventurers"- Ash, Jen, James, myself, Litlit, Maloi, Louie, Marky. Most photos grabbed from Ash, Jen and Maloi.